FAQ | Mastro, Barnes, and Stazzone, P.C. Can I pay my fee with a credit card? All major credit cards are accepted. Checks and cash are also acceptable. What if my case is outside the Denver metropolitan area (jurisdictions other than Denver, Arapahoe, Adams, Jefferson, Boulder, Broomfield, Douglas or Gilpin counties)? Mastro, Barnes and Stazzone, P.C. will consider accepting cases in jurisdictions outside greater Denver. Usually, the fees charged will be higher. Please consult with the attorney at your initial consultation. How much would you charge to represent me? The fee for your case is based upon a number of factors. These factors include the nature of the criminal charges, your prior criminal history, whether you wish to go forward with trial and which jurisdiction your matter is located. The fee for your case will be discussed and agreed upon at the outset of our representation after considering all of these factors. We also offer payment plans that are affordable and flexible to meet your needs. My loved one has been arrested and bond has been set. How does bond work? If your loved one has been arrested, the Court may have set a bond amount. You may call the detention facility and ask if you may secure a bond to free your loved one. If a bond has been previously set by the Court, you may post a bond in a number of ways. You may post a bond by providing a cash amount equaling the bond amount. The cash amount will be held by the Court during the duration of the criminal case and returned upon a dismissal of the case or upon the entry of a guilty plea. You may post a bond with the help of a professional bondperson. The bondperson would accept from you a non-refundable portion of the bond and would post the remainder using his bonding company's funds. You may post a property bond. If you own real property, you may file with the Court a property bond using your property as collateral in lieu of cash. Property bonds are sometimes difficult to secure and each Clerks Office has varying requirements to secure a property bond. 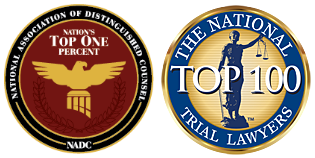 Call Today to Obtain the Legal Representation You Deserve!